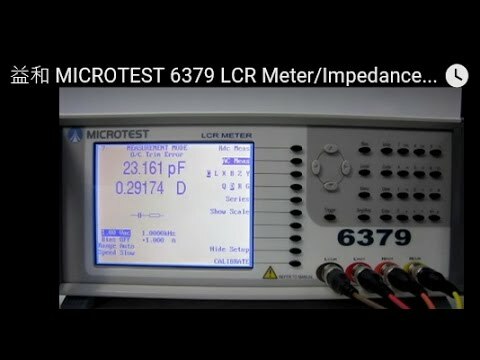 The 6379 LCR Meter that is provided with high accuracy and speed. It is a cost and multiple- function utility and is able to perform the component test entirely. 6379 can collocate with DC Bias. The friendly operation interface design is in synchronization with the international trend and easy to operate to import into the production lines quickly. Synchronous tests with multiple parameter settings. Because of the high-precision values of measured data and superior efficacy, it must be a necessary testing instrument of components and materials. It supports the interfaces of RS232、Handler、GPIB PC connections.